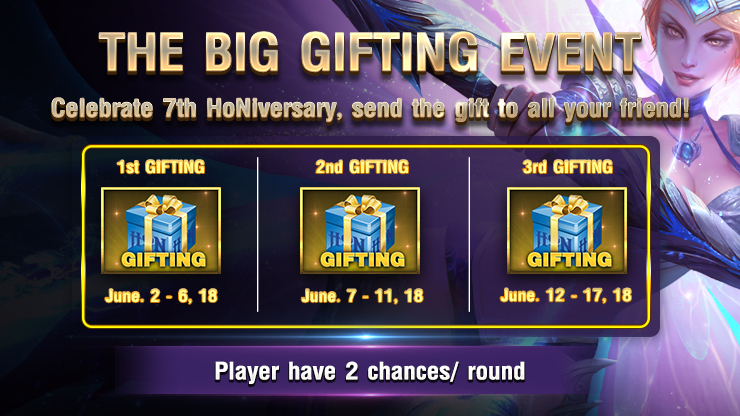 Gifting Event, one of the 7th HoNiversary, is now LIVE. 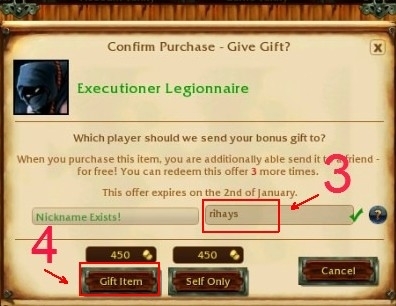 Purchase an item (for yourself) and gift it to your friend, for the price of one! PHASE 1: 2 Jun 18, 11.59 AM GMT+7 ~ 6 Jun 18, before server maintenance Limit 2 chances. PHASE 2: 7 Jun 18, after server maintenance ~ 12 Jun 18, 11.59 AM GMT+7 Limit 2 chances. PHASE 3: 12 Jun 18, 12.00 AM GMT+7 ~ 18 Jun 18, 11.59 AM GMT+7 Limit 2 chances. 3. 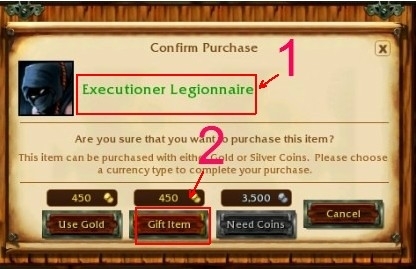 Input the In-game name that you would like to send to.